In modern heathenry, one of the goals is to construct known, established practices into our modern way of life. As an orthopraxic (translated: Correct Practice) worldview, we have the responsibility of establishing the right actions and method, and never is this more important than when dealing with the divine. One of the issues that plagues modern heathens is the lack of understanding of sacred space. The base issue with this seems to evolve out of the personal relationship many modern heathens seek with the divine. The overculture in modern America points to an orthodoxic view of a “Personal Jesus.” When many come and begin conversion to a Germanic tribal belief, they often bring this same concept [I.E. baggage] to a heathen mindset. To anyone who would like to begin a study on the concept of baggage, Germanization of Early Medieval Christianity by James Russell is a good place to begin. Using this train of thought, one would have a “personal” god on hand and thus they would be able to interact with that god on demand. In addition, many modern heathens have no dedicated sacred space. Without a dedicated space to worship the gods, they do so in the profane [read:non-holy]. They instead use some form of hallowing ritual, such as the infamous hammer hallowing. The issue with these aren’t that they are modern, only that they don’t fit the concept’s real purpose. Sacred space isn’t a thing you just make at your behest, it is something you build through prolonged gifting. The most common example most modern heathens know of is the hammer hallowing ritual. There are several variations but they all go fairly similar. It is in essence the same thing as casting a circle in Wicca and other similar veins of thought. You can essentially do this everywhere whenever you choose to. However, the Germanic gods were gods largely of locality and cult. To worship, you had to go to them and go in their space. We see this in establishment of local cults and dedicated sacred worship sites. Eliade builds on this concept in the Sacred and the Profane with the idea of hierophanies. Hierophanies are manifestations of the sacred, and can include theophanies, which are manifestations of a god. The hierophanies are the appearance of the divine and represent the pattern of the world. They are also act as the spiritual center of the universe. These sacred sites act as an anchor around which the world of man wraps itself. This is known as the Axis Mundi. With this concept, we begin with the establishment of the sacred in the world. A common example of this is a cosmic tree or pillar that literally is the center of the world (Yggdrasil can be included as an example). Man, who wishes to be near as possible to the divine, will live as close to the spiritual center as allowed. Thus geography is established as the center (the sacred space), the known world (a world of order) and the foreign world of nature (chaotic and occupied by others). So, established is the concept of a sacred space, the question is how does it differ from a profane, or common, space? This is where the Axis Mundi lies and is the crossing point into the world of the divine. This is the domain of the Holy. While each praxis will vary, there will be established rules within the space of the divine. Pulling an example from Abrahamic belief, Moses is required to remove his shoes in the presence of the burning bush, a theophany. In a previous Real Heathenry article, bowing was discussed and examples were shown of what happened if you didn’t. As listed in Groves and Sacred Spaces in Germanic and Scandinavian Heathenry, by Gary Golden, an example of things forbidden in a sacred space were violence, body fluids, etc. There are examples in sagas of men being required to bathe before even looking upon a sacred mountain. Rules were made and followed, or repercussions could happen. The take away is that there were rules to obey, and there were rules because this was not a place of man but the divine. This was a place where men came only for singular reasons, e.g. to gift. This was a place to tread lightly, or risk damaging the luck bestowed upon your group. This was the dominion of gods and the connection man had with them. As such, you obeyed their rules and did everything properly, or else you would risk their disfavor. ← RealHeathenry.com is under new management. This is Riggs. Riggs a lifts rocks. Riggs also reads lots of books. Riggs is a jerk. Is this a full or a partial list of spaces? Is this an exhaustive list of* sacred spaces? No, just the basic theory behind it. Would you be able to clarify your question with a bit more detail? I’m still learning about heathenry and i find this concept of sacred spaces to be fascinating. I had never even considered it until i read this article but now its a very obvious concept. 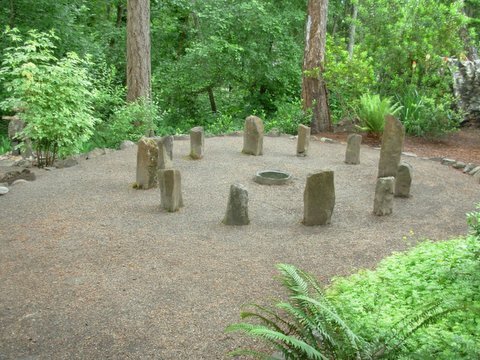 Is there any information on sacred spaces within the arch-heathen homes? It is an area I have been trying to research with very little luck. Thanks for the recommendation, I’ll be ordering it payday. Any suggestions on kinfetch and ancestoral spirits? I have read quite a bit from the Ango-Saxon aspect over the years, but most sources put it only in one or two chapters and the material is generally a same and not all that in-depth.